● Special deals and offers are published on the homepage of the Crosman website. These deals mainly consist of percentage discounts on featured bundles, products or brands. ● Crossman releases coupon codes offering discounts on purchases valid for only certain days of the week. Discounts range between 15-20% on sitewide purchases. Shoppers will also come across coupon codes offering BOGO deals or free gifts with featured purchases. ● The outlet section is a good place to shop for low-priced products and refurbished items that include a 30-day warranty. ● Shooting enthusiasts can also visit the custom shop and build pistols and rifles from base models that fit their personal preferences and needs. ● The Crosman website also has a resource center that provides free information on the shooting sport. 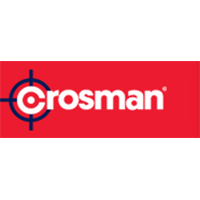 Crosman offers a wide range of air guns, crossbows, lanterns and accessories for outdoors. There is a lot of information on the site about using the products and getting the most out of them. There is also a community forum where people with like interests can connect. There is a “shop” tab that opens up a drop down menu which shows all the products that are offered. At the bottom of the landing page there is an option to customize and build your own airgun and engrave it. There is also an outlet store link that connects to all the outlet items. For most up to date offers check out Crosman on Facebook and Twitter or contact Crosman Support for any questions.